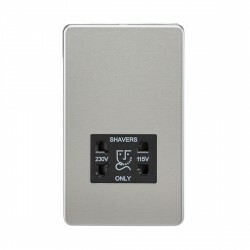 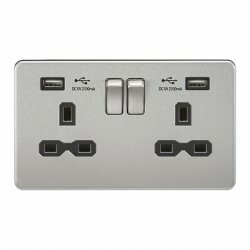 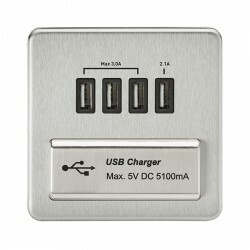 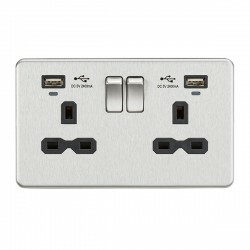 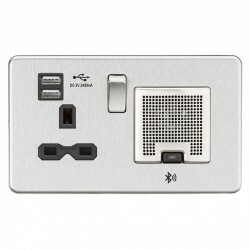 Knightsbridge Screwless Brushed Chrome 13A Switched Socket with Quad USB Charger - Black Insert at UK Electrical Supplies. 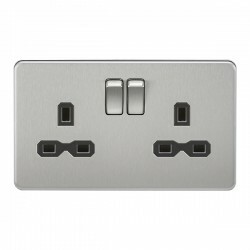 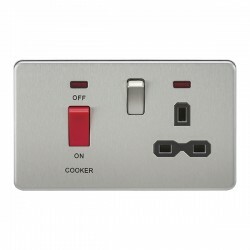 Introducing the Knightsbridge premium range of Screwless switches and sockets. 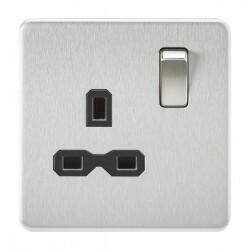 With their Brushed Chrome clip-on covers, matching metallic switches, and black inserts, these wiring accessories add a sleek feel to modern homes and businesses. 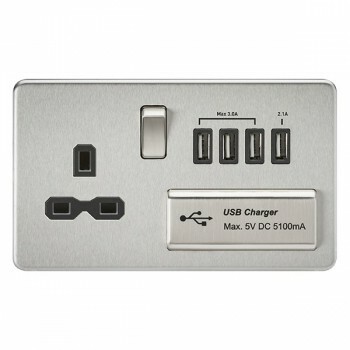 The entire Screwless range is constructed from a durable combination of steel and thermoset materials, for products that are just as tough as they are smooth. 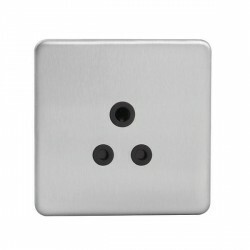 Each decorative plate comes with an internal gasket for moisture protection and screws for easy installation. 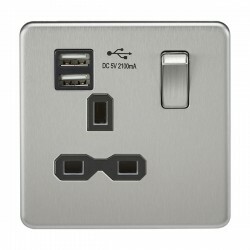 All items also comply with the relevant British Standards.